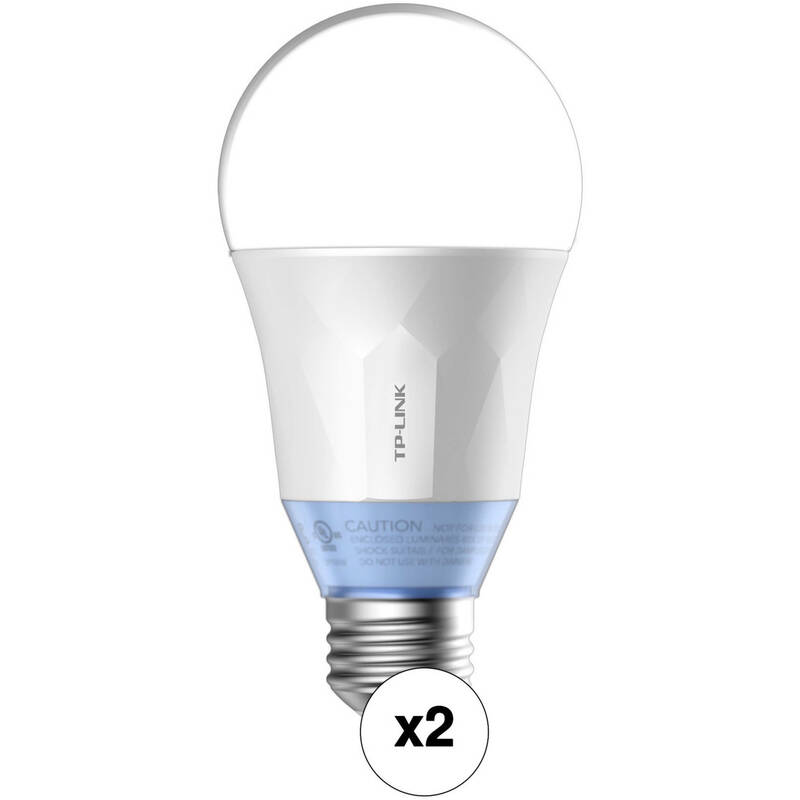 This B&H Kit features two LB120 Wi-Fi Smart LED Bulbs with Tunable White Light from TP-Link. The bulb features instant on/off control, and is dimmable for various light settings. You can even set scenes to match your mood, whether you're reading a book, watching a movie, or going to sleep. Enable Circadian mode to allow the bulb to dynamically adjust both the light intensity and color temperature to mimic the natural changes in daylight throughout the day. With Away Mode, the bulb can automatically go on and off to make it look like someone is home, deterring intruders. The bulb is compatible with iOS, Android, and Amazon Echo. Alexa and Google Assistant are digital ecosystems that enable you to interact and control compatible devices with your voice. Additionally, app control lets you use your smartphone to access functions on the go. Box Dimensions (LxWxH) 6.85 x 4.2 x 3.1"
Can this be controlled with a switch? Yes, the bulb needs to have power, but can a switch off then on override the bulb&rsquo;s pre-set timer (if set to off) to turn it on even if programmed to be off at the time? Yes the bulb can be controlled with a switch. The bulb itself has the ability to dim, or power on and off. If the switch is off the bulb will not function. Can we turn off the bulb with cellphone if we are away from home? Can we turn off bulb with cellphone if we are away from home ? Yes, as long as you have it connected to an app (Kasa, Alexa, Google home, etc.) and are connected to the internet. Instructions are included with the bulbs. What is the CRI value of this bulb? CRI	80 Listed under the specs tab.